I went for a walk at lunchtime today but unfortunately I didn’t spot any dogs. By the time I got back to Bolton it was dark and the weather was horrible! I decided to pop to Pets at Home but unfortunately I didn’t see any dogs. 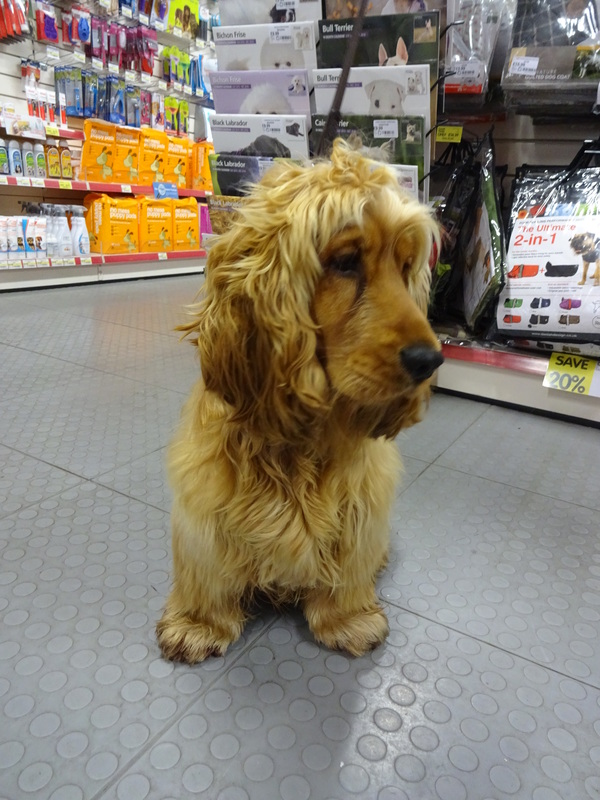 After I picked up Ethan from nursery I decided I would pop to Jolley’s pet shop in the hopes I would spot a dog there; the weather was way too bad to go around traipsing the streets! 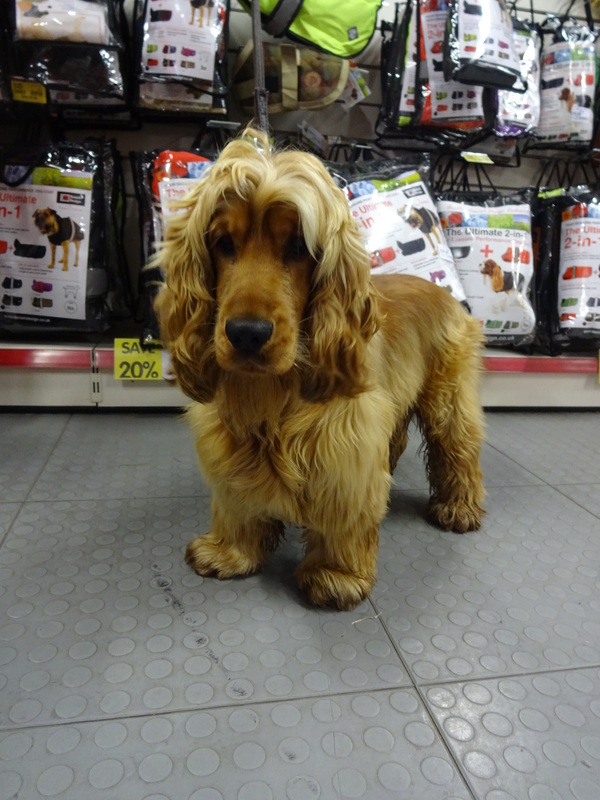 It seemed pretty quiet when I got there but then I spotted a gorgeous Cocker Spaniel! I’ve me Buddy and his human before in the park but I’d already got my Dog of the Day, I was really pleased to spot them again! Buddy is such a handsome dog, and he’s so friendly; I got to give a him a cuddle and he gave Ethan a good sniff! Favourite food: Chicken, tripe, veg and brown rice. What a healthy boy, his human mummy makes it all especially for him! Favourite toy: A towel rolled up and tied at each end. His human’s did a google search on home made dog toys and found the towel toy, he absolutely loves it! He was also very keen on a polar bear toy in the shop! Favourite pastime: Walking, chewing sticks and chasing balls!